How renting my place on airbnb is funding my startup. On July 23rd, 2014, I left my job to work full time on my startup, called Whttl. There is rarely a perfect time to start a startup. But if there was ever an imperfect time, I think this was it. Cash was tight, to say the least. I didn’t have any savings, and I was still paying off debts from college. My wife is currently pursuing her undergraduate degree, en route to med school. Oh ya, and we have a beautiful 9 month old baby, Audra Belle. Nonetheless, I was unreasonably, unstoppably determined to build my own business again, and my wife and family supported me. I had done it once before a few years back, and had a successful outcome. There was nothing stopping me from doing it again. I knew we may go many months without income, so the first step was to reduce our cash burn rate. The lower we could get this, the better. With some very aggressive cost cutting, we were able to get our monthly expenditures down from around $9,000 to $4,500. We cancelled gym memberships. We bought a boat load of spaghetti. I posted my beautiful car on RelayRides so that others could rent it out on a daily basis. We switched our insurance to MetroMile and downgraded our cell plans. I even deferred my student loan repayments. Our biggest cost, by far, was the cost of our breathtakingly beautiful apartment in San Diego, CA. Including base rent and utilities, we were coming in at just around $2,700. We felt guilty that we were spending so much on rent when times were tight, but we certainly didn’t want to pack up and move. We had only relocated here 9 months prior. Plus, we absolutely loved our place! My wife and I had an in-depth conversation about moving back to Monterey, where her parents have a condo that we could stay in for free. (They are extraordinarily generous and insisted.) This could eliminate that $2,700 monthly commitment, and further reduce our burn. This was definitely not the desired solution, but we figured it was the smart thing to do. Sara and I were saddened for the impending change, but optimistic it would be for the better. Then, it dawned on us. Our apartment should not be looked at as a financial liability, but rather an asset! We could list it on airbnb and earn revenue. We had used airbnb a number of times before, both as hosts and guests. Because our apartment community was one of the nicest in the city, we could surely command a price premium for this palatial abode. A brand new 2 bedroom, 1,100 square foot place with a pool modeled after the Wynn in Las Vegas would certainly earn us a substantial nightly rate. So, we surveyed the market and concluded a price point of $299 per night was reasonable. We sat back and crossed our fingers. 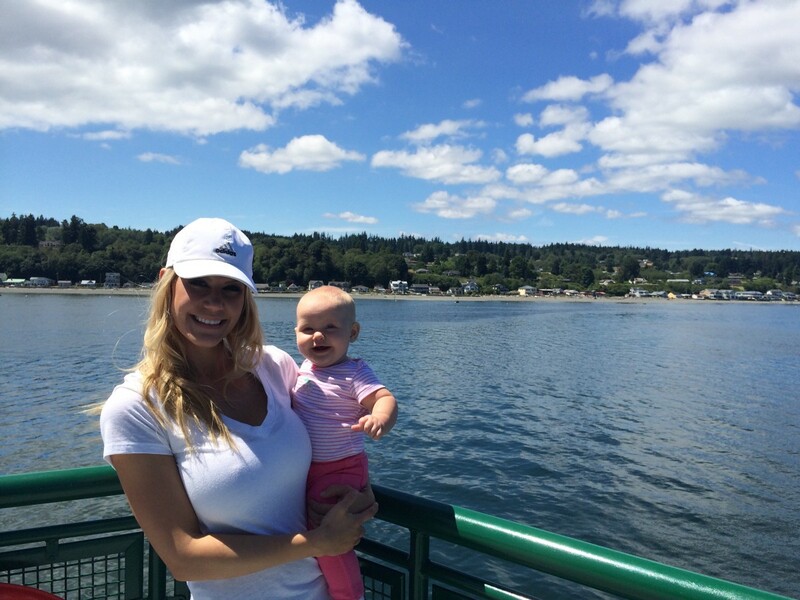 Momma and baby enjoying our extra time in Seattle. Shortly after, a request came in for July 23 — 26. We were already going to be in Seattle for July 25 — 27, so this meant free money! Woohoo! We had to lengthen our trip by 2 nights, but it still ended up being a net gain to buy brand new flights, fly in to Seattle earlier than originally planned, and get another couple of nights at the hotel in Seattle. Boom. $773 in our pockets. Just a few days later, we got a request for August 2–8. It would be $2,079 in income. Wow! Nearly 80% of our rent covered by just one week. We headed home from Seattle, relaxed for a few days, and then cleaned up the place and headed up north for a week. While we were staying in Monterey, we got another request for August 13 — 22. This would yield even more cash: $2,308. Because of the quick turnaround time, it didn’t seem fair to trek the baby nearly 1,000 miles round trip down to San Diego and back, so Sara and baby stayed up north while I headed down solo to prep the place for our next guests. As a write this, we are on standby for our next reservation. If we can keep doing this for another few months, it should give us enough runway to allow my startup to generate cash or raise a seed round of funding. 1) My amazing, patient wife. Not only does she manage the listing and communication with the guests, but she coordinates the logistics of moving our family across the state on a semi regular basis. She’s a new mom, and wants nothing more than to nest and have a house to call a home. In the month we’ve been doing this, she’s been gone from her home more than 3 weeks. This is a hard thing for her to do, and I’m incredibly grateful for this. 2) We provide an insane amount of value. We take great pride in going above and beyond with our place. I mean, people are paying $300 / night. That’s a lot of dough! We should be providing them with $1,000 worth of value, no exceptions. By default, we generally include a bottle of wine or champagne, and some snacks and treats. We’ve been known to include Starbucks gift cards, popcorn, and chocolate. Even a massage at nearby Massage Envy is on the gift list! We don’t take it lightly that our guests’ bookings are making a massively positive impact on our livelihood, and the least we can do is give them a place worth remembering. 3) We have an alternative place to stay for free. We are, of course, displaced during our guests’ stays, and we have to find somewhere to go. If we didn’t have a place to go, we would have to plunk out cash for a hotel, which would seriously erode our profits. So, we head up to our family’s extra condo in Northern California. However, for shorter stays, it doesn’t make sense to head up north, so we’ll find deal on a local hotel. 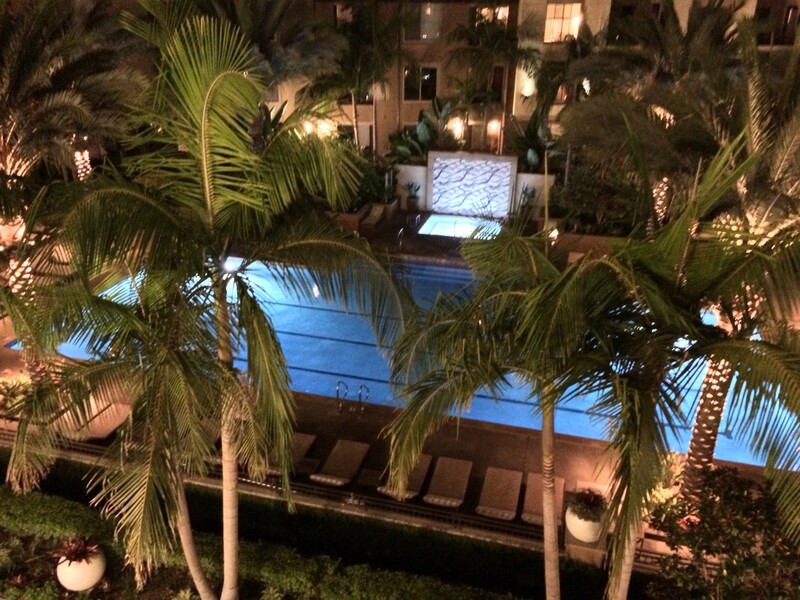 This reduces our net income substantially, but sometimes it’s worth it to have our staycation paid for! For some of my friends that are also renting out on airbnb, they stay with their boyfriend/girlfriend in order to make it work. We’ve made $5,160 in the last month. Since we started, it looks like we’ve actually brought in more money than we spent. Anything to kill that burn rate! Now, if we can figure out how to keep this going. We are even turning up the heat a bit. We’ve transformed our 2nd bedroom from my office to a spare bedroom. This will be more appealing, since people are often looking for the extra space that a hotel can’t provide. Plus, we can rent it out as a standalone room for around $100 / night. Check out our full listing here. Thank you airbnb, and thank you to our wonderful past and future guests. If I’ve convinced you to give it a try, here is $25 to get you started. If you found value in this, it would be tremendous if you scrolled down a little further and hit the “Recommend” button. Greg Muender is the founder of Whttl, described as the “Kayak.com for startups.” Use it to compare dozens of different providers and marketplaces at once, including RelayRides, DogVacay, and HomeJoy. Drop Greg a line via greg<at>whttl/dot/com. For further reading, check out the Official Whttl Blog.